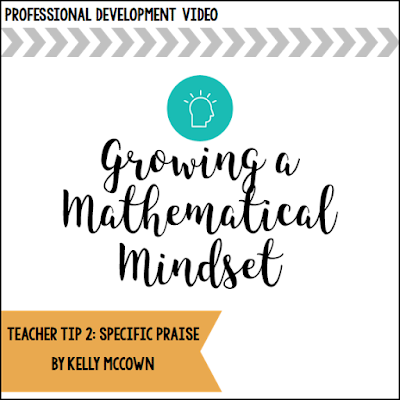 Do you seek to grow your students' mathematical mindsets? Do you want to help your students flex their brain muscles? Do you want practical strategies to apply to your classroom today? If you said YES! This Professional Development Video is for you! Growing a Mathematical Mindset Tip #2 is about how your students can achieve higher success in Mathematics with one simple strategy. The video explains the "Specific Praise" strategy, how to implement it, and the reasoning behind the process. Dive into this strategy and learn how to effectively grow your students’ mindsets with specific praise.